June 15, 2017, 7:27 p.m. The South Korean bitcoin exchange has presented excellent arbitrage opportunities for traders. South Korean bitcoin exchange have always demonstrated a high premium on their listed bitcoin prices and trading rates. Step 3. Sell KRW, buy USD. It'd be cumbersome to get exchange rates from multiple exchanges and calculate an arbitrage return every time. 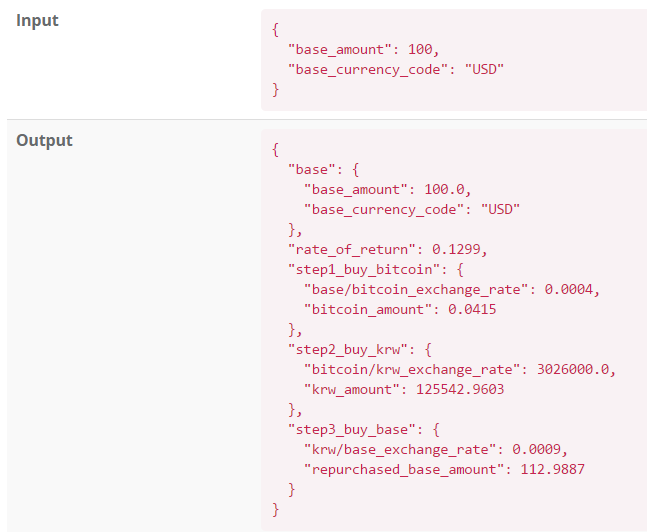 Instead, this blog presents a way to build an API that automatically calculates the arbitrage return for you using Knowru. The service is publicly available so you can use it as well (see this page (ID: demo, PW: KnowruForAPI!)). As of June 16, 2017, an arbitrage opportunity still existed. 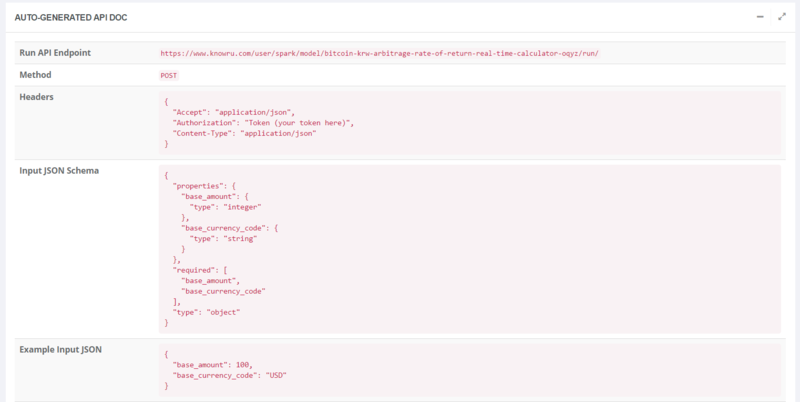 The purpose of the material here is to show how easy it is to create, customize, maintain and use APIs using Knowru. Though the trading strategy here is based on a realistic scenario, you should take the material as a fun, interesting reading rather than a serious, professional article on trading and Bitcoin. Buy USD, Sell KRW: Fixer API. In essence, I combined these three APIs that return exchange rates real-time to calculate the arbitrage rate of return. 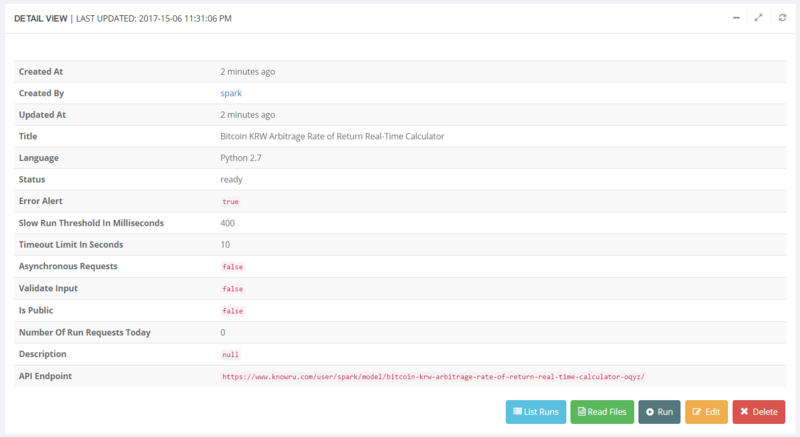 I am using Python 2.7 and created a virtual environment to manage packages. 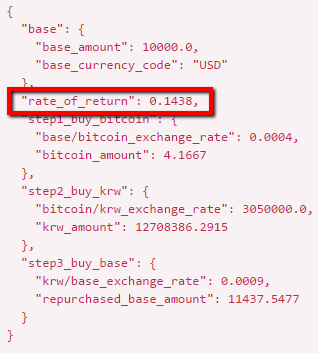 I created a script named bitcoin_krw_arbitrage.py and wrote a function named calculate_rate_of_return. The function gets base currency code and amount as an input, calculates a rate of return from the 3 APIs above and then return the outcome. Sign up to Knowru is very easy, only requiring your email address and password. Let us create an account and log in. 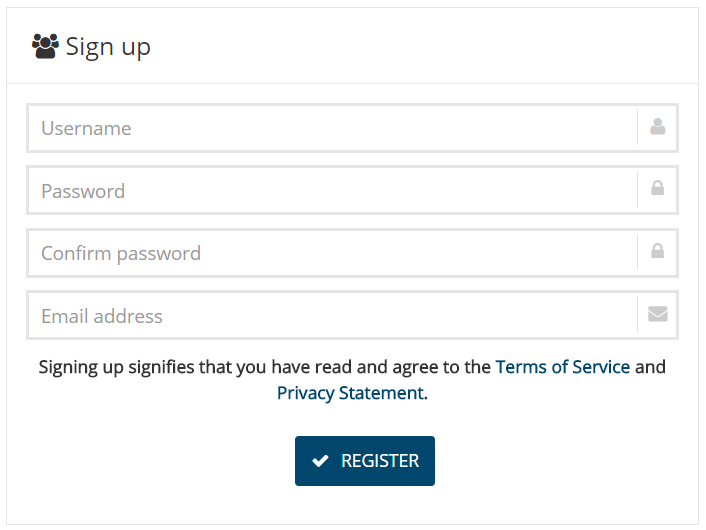 Signing up only requires a username, email address and password. Singing in is easy too. Once logged in, click the "Create" button in the runnable list page. 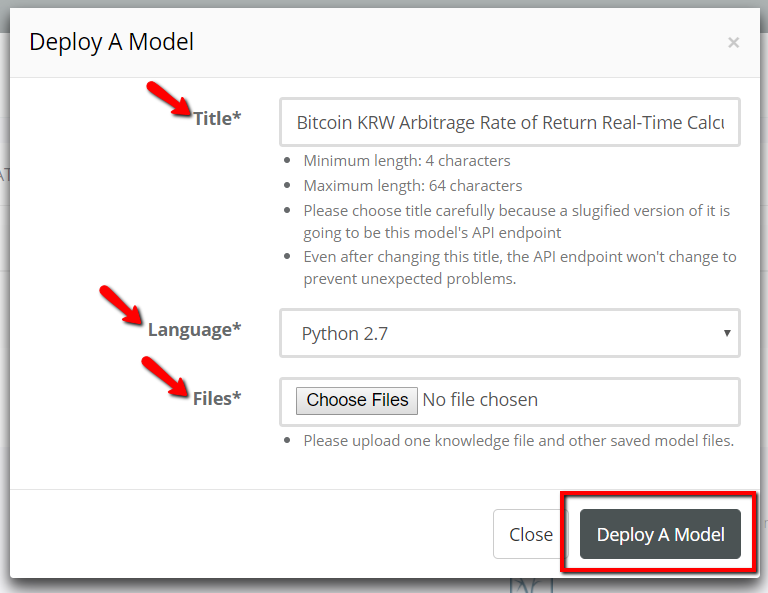 Give a title, choose "Python 2.7" for the language and then choose the three files we prepared: knowledge.py, bitcoin_krw_arbitrage.py and requirements.txt. Click the "Deploy A Model" button on the bottom right. Enter a title and choose "Python 2.7" for the language. In the backend, the Knowru platform prepares necessary hardware configuration to create an API for knowledge.py. Basically, every time a request is made to an API, the Knowru platform calls run function inside knowledge.py with the data from the request. Click the Title to move to the deployed model page. You will see something like below. In the run list view, click the name of the run to see the result. Let us click the name of a run to see more details. Let us go back to the model detail page. We see these two new sections that did not exist before our first run request. 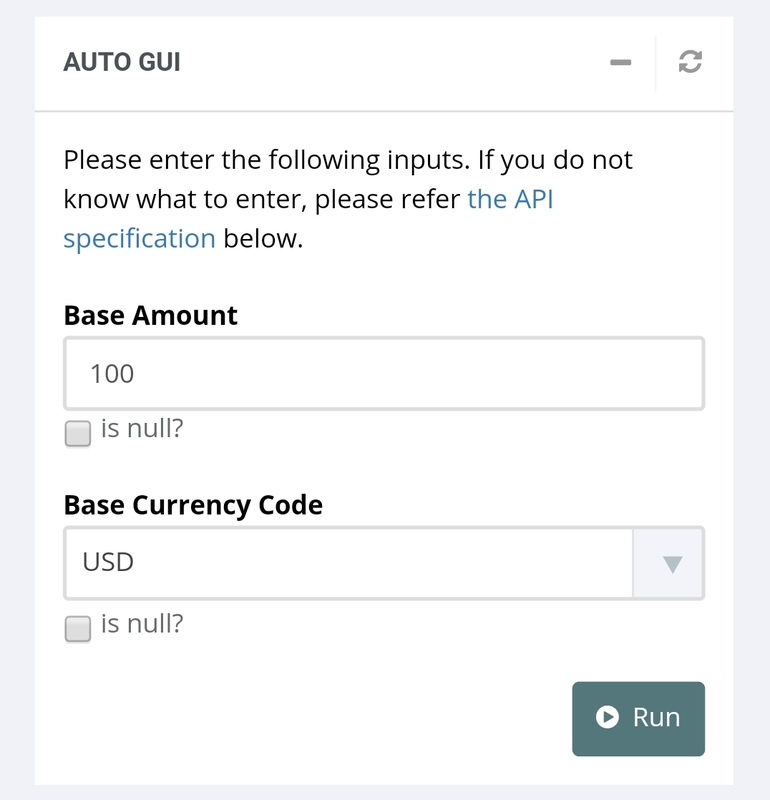 Automatically created GUI for the API - now, we can enter values and click the "Run" button instead of creating a JSON input to run the API. Automatically created API documentation - we do not have to type anything when communicating our APIs to someone else. Then, we can see that the Auto GUI section automatically changes to only accept one of the available currency codes. 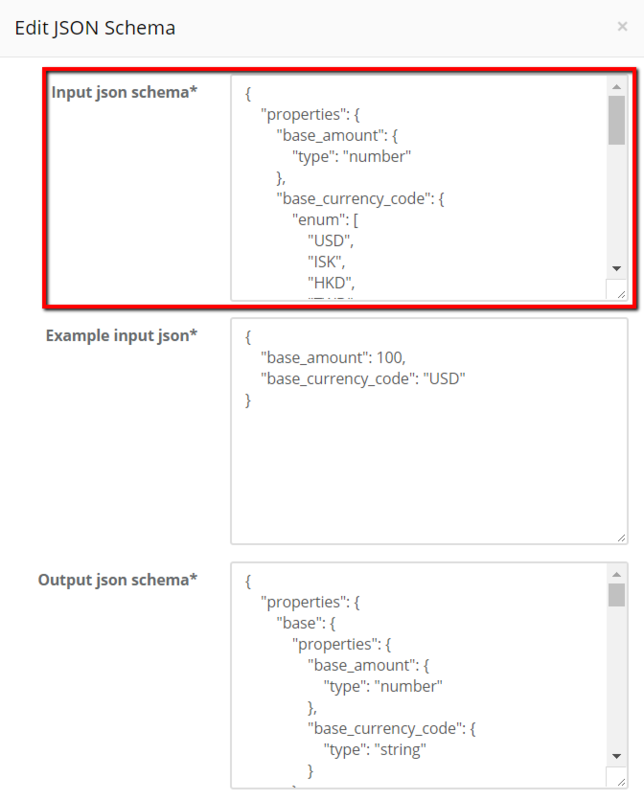 Auto GUI automatically changes the text input field to a select input field for the variable Base Currency Code after the input JSON schema is changed. Let us make the API to validate input before the input goes to knowledge.py. First click the "Edit" button and then change the "Validate input" from False to True. 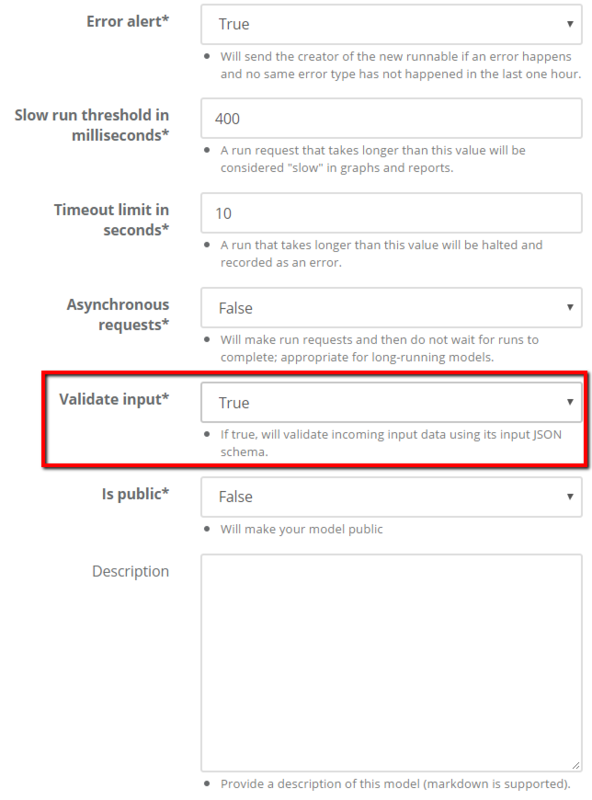 Change the field "Validate input" from False to True will validate every input data before it goes to knowledge.py. As of now, the model is not visible to anyone else other than yourself. 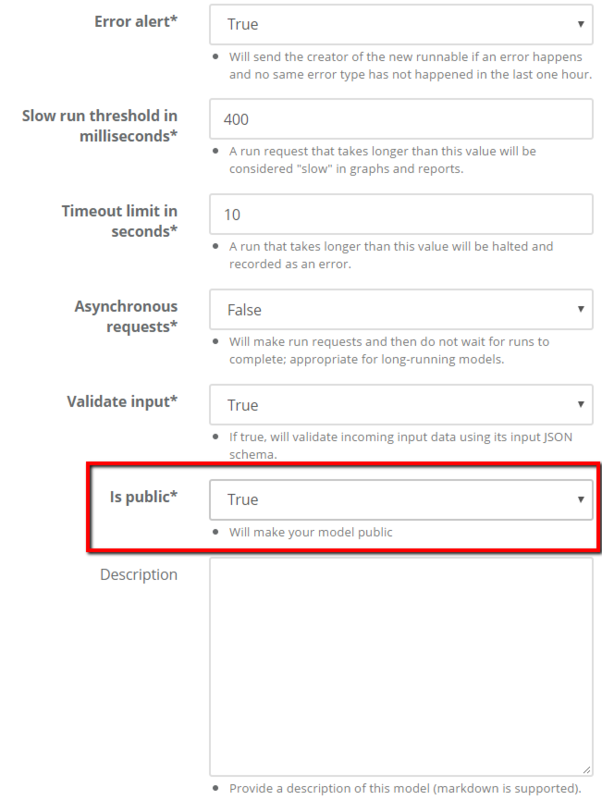 If you want to share the model with the public, you can change the "Is public" property from False to True in the model edit form. With "is public" False, a user requires both authentication and authorization to access your model; with "is public" True, an anonymous user can take a look and benefit from using your model. Knowru automatically takes care of all the hassle of moving files to the cloud environment, auto-scale up and down, checking authorization and etc. Because our API is exposed to the public, we want to check whether people are not sending any non-comforming data. Writing all the input validation code in our script will require at least some lines of code (checking type, range and possible values). Knowru does this for us. Not only is the GUI automatically generated, but also it is mobile-responsive! When communicating our API, we do not have to write any documentation - Knowru created one for us. Please access this page to try yourself (ID: demo, PW: KnowruForAPI!). If you have any question, contact us by clicking the button below or sending an email to hello@knowru.com.